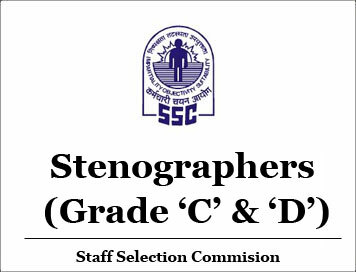 In September 2017, the Staff Selection Commission will be organizing the Stenographer Grade Examination for the Stenographer Grade “C” and Grade “D”. The exam will be computer-based. The tentative dates of the exam are from 4th September 2017 to 7th September 2017. The candidate must be between 18-27 years as of 01st August 2017. The candidates of Scheduled Caste and Scheduled Tribes have been given a relaxation of 5 years, the candidates of OBCs a relaxation of 3 years, physically handicapped candidates a relaxation of 10 years, physically handicapped OBC candidates a relaxation of 13 years and physically handicapped SC/ST candidates a relaxation of 15 years. Other candidates like Ex-serviceman must first check out the official website for their eligibility requirement. All candidates must have passed 12th standard or equivalent from a recognized board or University on or before 01st August 2017.